"Klean Klay is easy to handle and work with and remains hand-pliable at room temperature. Klean Klay keeps its smooth, firm consistency and retains the shape into which it is molded. " I mentioned Klean Klay in an earlier post and I thought it might be helpful if I filled you in and vice-versa. I don't know a whole lot about it, however this is what I do know... from reading product descriptions heheh. 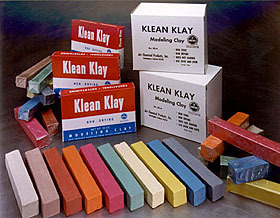 Klean Klay is a non-drying, non-hardening, no-sulfur modeling clay. Klean Klay doesn't leave a mess, it's non-toxic and odorless as well. This means you can use it wherever you like, such as when your sitting on the couch watching netflix :P Feel free to let me know if you have any tips or tricks when using this stuff, it would be greatly appreciated. I haven't used it for any finished pieces, however it's my favorite for making Maquettes. If I have an idea of something I want to sculpt I like to make a maquette of it as soon as possible to preserve the idea like a tangible sketch. I have more dialogue with a sculpt as opposed to a sketch. For me it's about seeing it in real life and using my imagination to place it's habits, attitudes, and emotions. Also, with a simple push or pull I can get a wide variety of gesture. This is one of the many things that drew me into sculpting. Klean Klay comes in a variety of colors and the Natural color Klean Klay comes in varying hardnesses. I've found that the extra-firm is nice for sculpting thin or fine detail that might need to be manhandled, like some kind of embellishment or whatever. This stuff is available at most arts and craft stores, is fairly cheap and lasts FORVER!!! maybe..? Side Note: It is also a good mold-making clay for silicone rubber since it doesn't contain sulfur. Sulfur in clay inhibits the curing process of the silicone, so go with this stuff. I think it's also fine to use with plaster molds as well, I'll be testing this out soon. I'll be sure to show you the results. If you have experience using this clay please let me know how you enjoyed it and if you have any tips. I'm currently having issues creating super fine, smooth surfaces without leaving tool marks and finger prints, any suggestions? send you an email. I've got some creative ideas for your blog you might be interested in hearing. 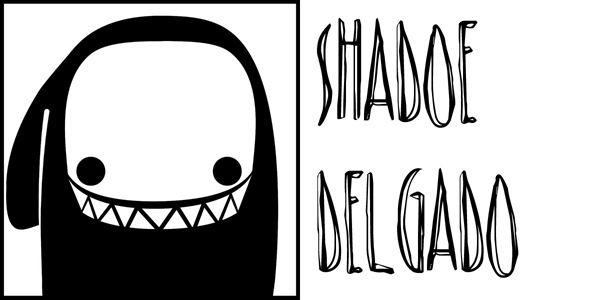 Either way, great blog and I look forward to seeing it improve over time.